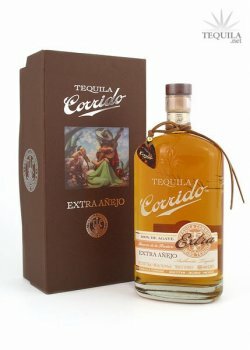 Tequila Corrido Extra Añejo is a very limited production Single-Barrel extra añejo. 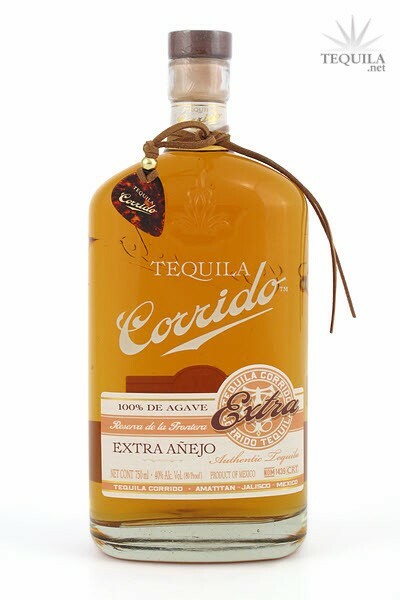 Only 10,000 liters of this tequila were placed in a small lot of 50 specially selected white oak barrels. The beautiful dark golden amber color is a result of the three years of aging, which gives the tequila the taste you may recognize from a Pappy Van Winkle's bourbon or Cognac. 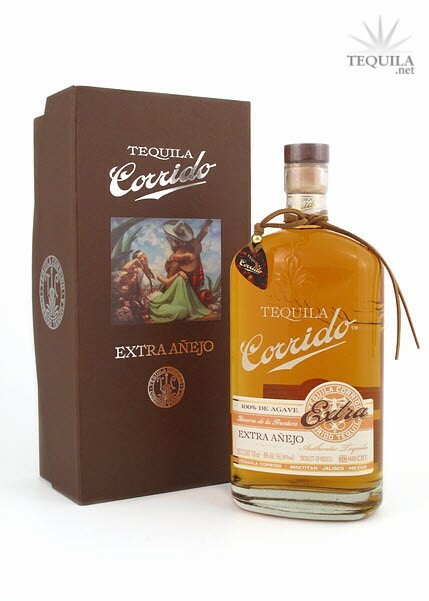 Corrido Extra Añejo is aged the same way they are aged, in charred white oak barrels. “Extra” has a dark golden color attesting to it's extended time in the wood. Velvety texture, decadent mouth feel, taste and finish outline the elegant and wonderful cognac style qualities of this truly exceptional Extra-Anejo. Similar to a Ballad, the Corrido is a musical form developed in Mexico, and specifically rose from a "Border Culture" along the Lower Rio Grande region, primarily between the mid 1800s and the 1930s. The Corrido became known as "musica de la frontera" (border music) because it was especially popular along the U.S.-Mexico border regions. 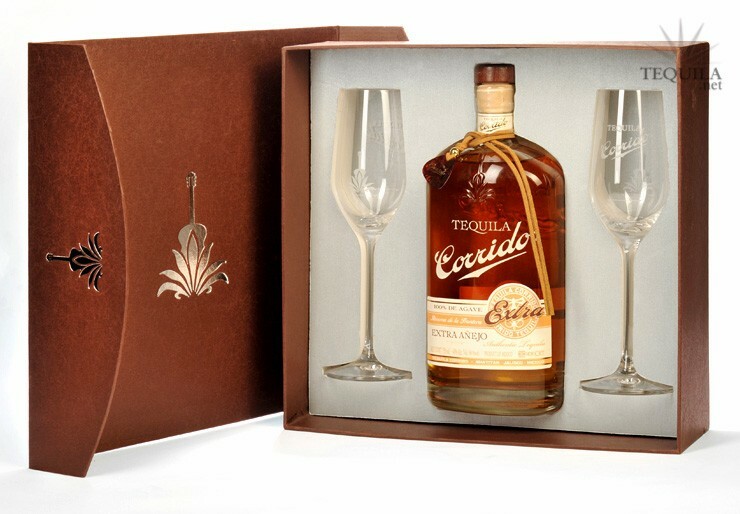 Engineered to perfection, Corrido Extra Anejo is a delight! Aroma: Cooked agave, caramel, berries and a hint of wood. Initial Taste: Sweet agave, caramel and oak. Body: Very thick and oily body. Caramel, wood and slight spice. So easy to drink that it's frightening. Finish: A nice long and woody finish. It's a smooth and velvety finish. The caramel and dark chocolate flavors from 3 years in the barrel linger for a nice, long time. I love the entire Corrido line. I will stand by the statement that I think that their anejo is the best anejo out there for the money and is probably in my top 3 tequilas I've ever tasted. The biggest question with an XA is always: Is it worth the money? Standing alone, this XA is definitely worth the $80 price tag. However, when compared to the anejo, I'd rather have 2 bottles of that, but you know where I stand with that one. 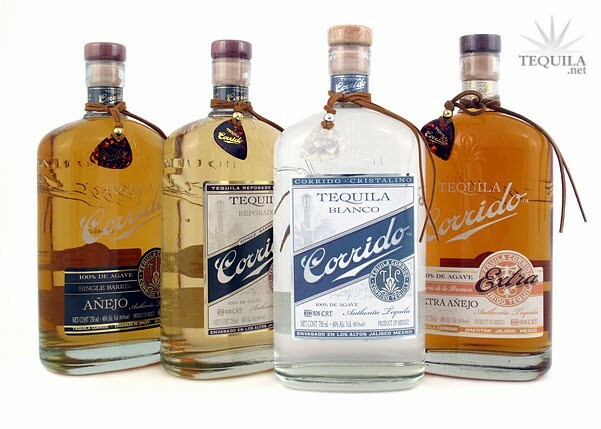 The bottom line is that you should check out the entire Corrido line of tequilas. 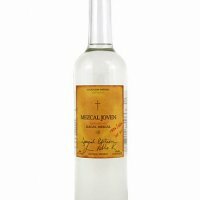 They're simply some of the best tasting and best value tequilas on the market today. Tasted out of a Riedel glass. Aroma: Flan-like caramel and custard. A bit fruity. Very rich nose. Initial taste: Sweet, smooth, and immediately warming. Body: This where all that caramel and bourbon aging comes through. Velvety smoothness, semi-oily, and very rich. Additively so. Finish: A tart bite of agave comes through at the end. I would agree that it is dessert-like. The flavors linger in your mouth for a long time, leaving a nice big smile on your face. Simply put: one of my favorites. I dream about it when it's not around. It may be too sweet for some, but as a nightcap it is a brilliant supplement to a fine cognac or bourbon. I get solid vanilla all the way through Corrido Extra Anejo. From the lightly sweet scent, thick and full mouthfeel to the lingering finish with a small amount of bite on the sides of the tongue, which never turns into a burn. A very enjoyable tequila, almost desert-like, but not that sweet. Nice heavy bottle, synth cork, guitar pick is a nice touch. Tasted out of a shot glass. A very tasty extra anejo. Not something I can afford these days at $99 dollars. Yet, still I was very happy to finally taste it! Aroma: A nice cherry like nose, with caramel hints. Initial Taste: A semi oily mouth feel. A very sweet entry with no bitterness. Initial taste of fruit/caramel. Body: A caramel body with a subtle yet not lost taste of agave. Finish: A nice yet subtle heat with a nice linger of slight chocolate and fruit.